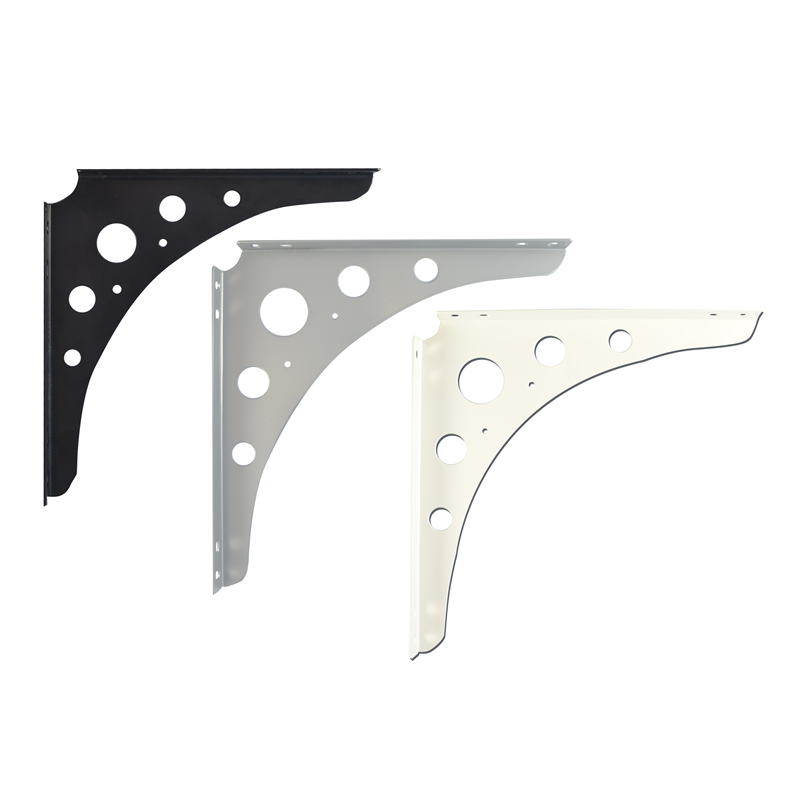 Decorative European style bracket with circle cut outs and wider lip, made from quality steel then powder coated. 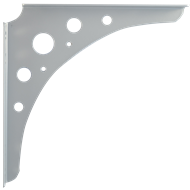 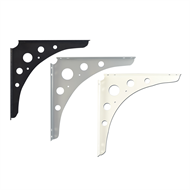 The brackets are available in a white, silver or satin black in a variety of sizes. 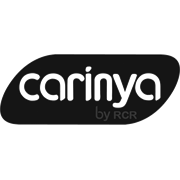 Suitable for shelving projects around the home or office. 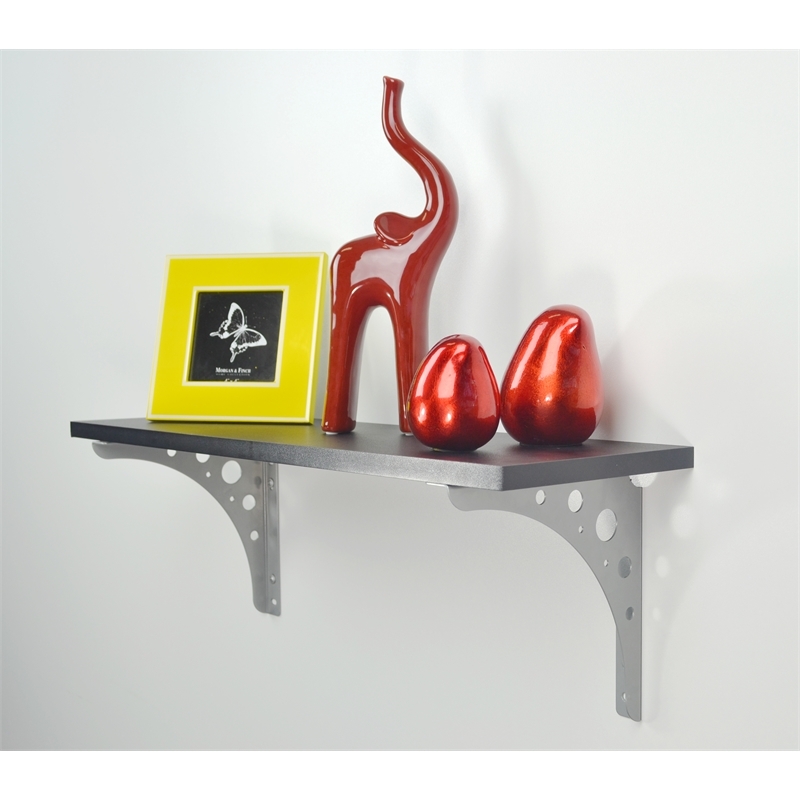 Bracket can also be used on top of the shelf providing book ends to the shelf to prevent items falling off the edge.